On my everlasting Foodie’s Quest, I got to try yet another new restaurant on Sunday – yay! Two new restaurants in one weekend is like wow for me. On Sunday, the location was Elevation Burger in Gulf Coast Town Center. While we will be getting one soon in Naples, we jouryned up to GCTC to check it out and meet up with some family. 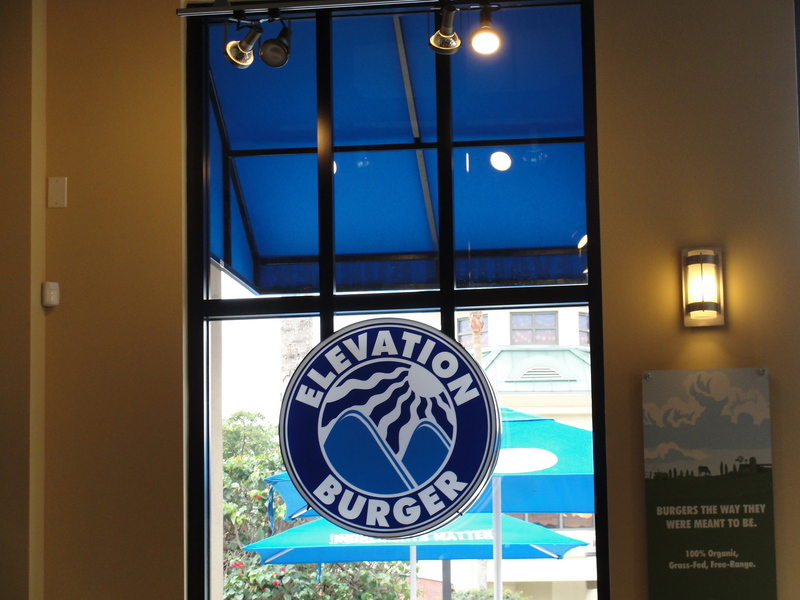 Elevation Burger has been on my list to try for a while and I have seen it featured on a few TV shows. I was more than excited when Mommy shared the news that we would be having lunch there on Sunday. 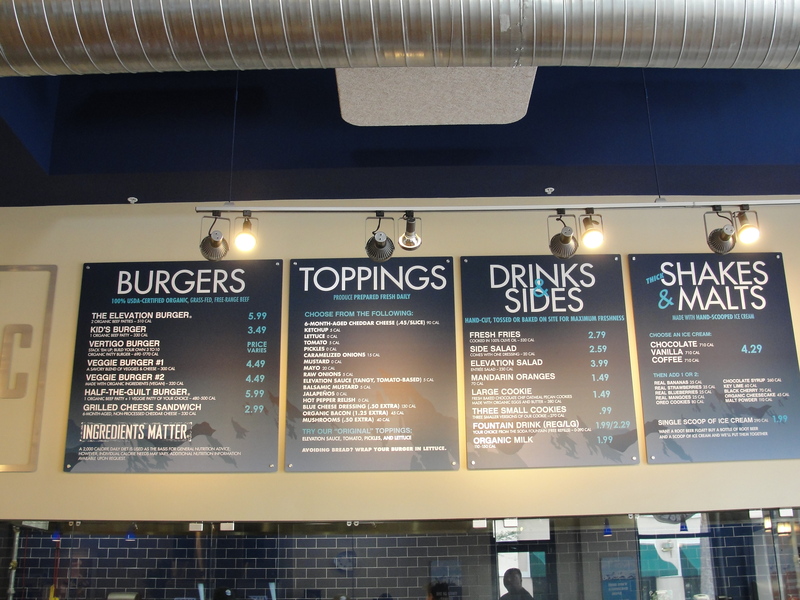 Elevation Burger is known for their Organic Burgers & Veggie Burgers that are made on site along with fresh cut fries cooked in Olive Oil. We arrived at Elevation at 12:00pm and found the restaurant to already have a few tables occupied. We reviewed the menu and went up to place our orders. Many reviews I had read stated that the burgers were very small. Since I wanted to try a regular burger and a veggie burger, I decided to just get a single of each along with fries. This was new territory for me and I wanted to ease into it. 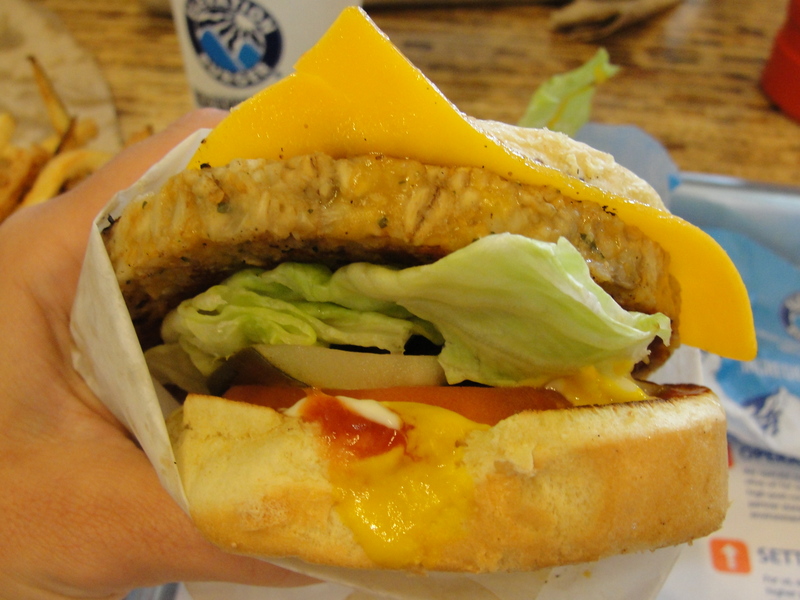 Let us begin with the Veggie Burger since it was the real star. Elevation offers 2 types of veggie burgers and I opted for the #1. I love a good, homemade veggie burger and this is exactly what this was. For toppings, I went with my usual – cheese, lettuce, tomato, pickles, mayo, mustard and ketchup. The burger is served on a potato roll and while it is very soft, I don’t love the flavor of it. I don’t think it goes with burgers nearly as well as the bun at Five Guys does. The veggie burger itself was great. 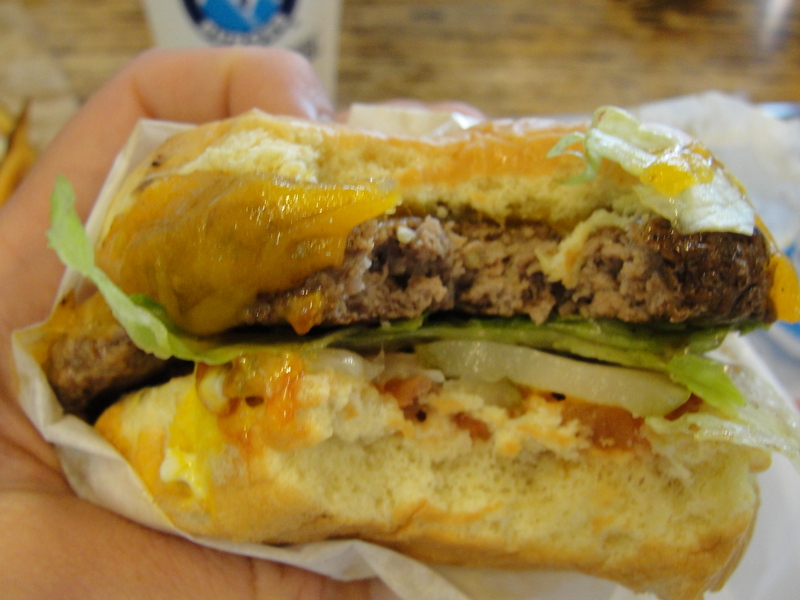 You could see all the pieces of the burger and the tastes meshed together great. The burger had a ricey, earthy taste to it that was quite pleasing. The burger was moist and in no way dried out. 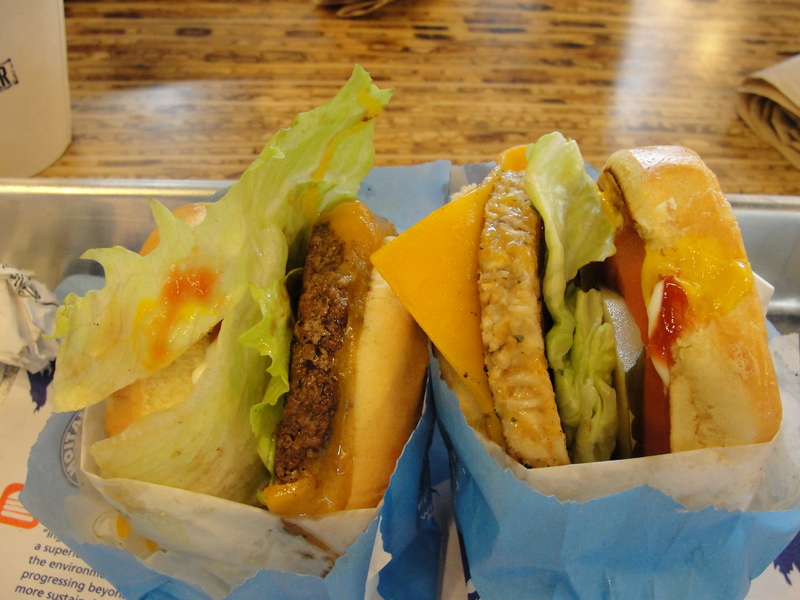 I could taste the cheese that is mixed into the patty itself which certainly helped the flavor. The patty was quite thin but a part of it was overlapping the bun. This was probably one of the better veggie burgers I have had. As for cheese, cheddar isn’t my first choice for a burger but it provided an additional taste and texture that was good. The lettuce, tomatoes and pickles were crisp, fresh and quite tasty. The mayo/mustard/ketchup was there but there was not a ton of it. I used additional ketchup on the side for every few bites. I was really impressed with the veggie burger. After I had downed that, I moved onto the regular burger. I again ordered my usual toppings on this burger – cheddar, lettuce, tomato, pickles, mayo, mustard and ketchup. While I normally would get a double, I opted for a single since I would be trying both and wanted the comparison to be as close as I could get. The burger was the same thickness as the veggie burger yet the diameter was indeed smaller. The beef that is used for these burgers, is Organic and you can most definitely taste the difference. The beef is still very moist but I did not find it to be quite as greasy. The taste it more earthy than regular beef and tastes much more fresh. We normally eat organic meat so I can usually tell the difference between organic and non-organic pretty easily. Organic to me, is much better, and made this patty better tasting. The toppings on this burger were just as good as the veggie burger which is a good thing. Fresh toppings always help the burger. I just can’t say that I loved this burger. Yes, it was good but it was no Five Guys. The lack of taste in the bun and the use of cheddar cheese is what set these two apart. Plus, this burger was certainly small. I won’t say that its bad but, I just liked the veggie burger so much more. When I return (which I will do), I will opt for 2 veggie burgers rather than one of each. While I was eating my burgers, I was also eating my fries. As you know, I love fresh cut fries. Plus, if they are fresh cut when you order them, they are even better (i.e. Penn Station Subs). These fries weren’t cut exactly when I ordered them but pretty close to it. The serving was a good size but not quite enough to share. If two people only want a few, then you could share but otherwise, you will need your own serving. These fries are cooked in Olive Oil which produces a totally different taste. Even though I couldn’t totally taste the olive oil, I could taste the difference in flavor that the olive oil made. 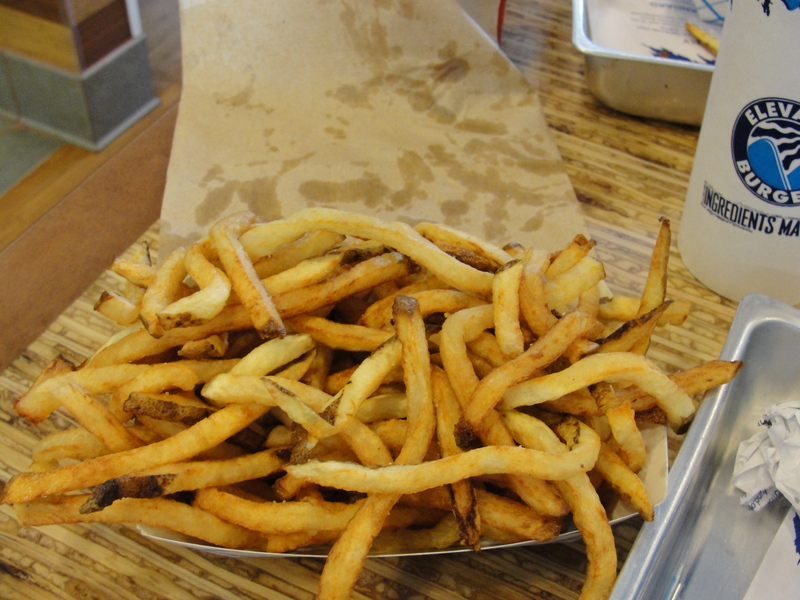 The fries were much lighter and had a stronger after taste to them. I did not like the fact that the fries were so thin. If they would have been just a little bit thicker, they would have been tons better. My fries also needed probably another 30 seconds in the fryer to be cooked to a perfect level. The fries were not all too greasy and did not taste like they had loads of salt on them. They were no Penn Station Fries but, they were pretty good. 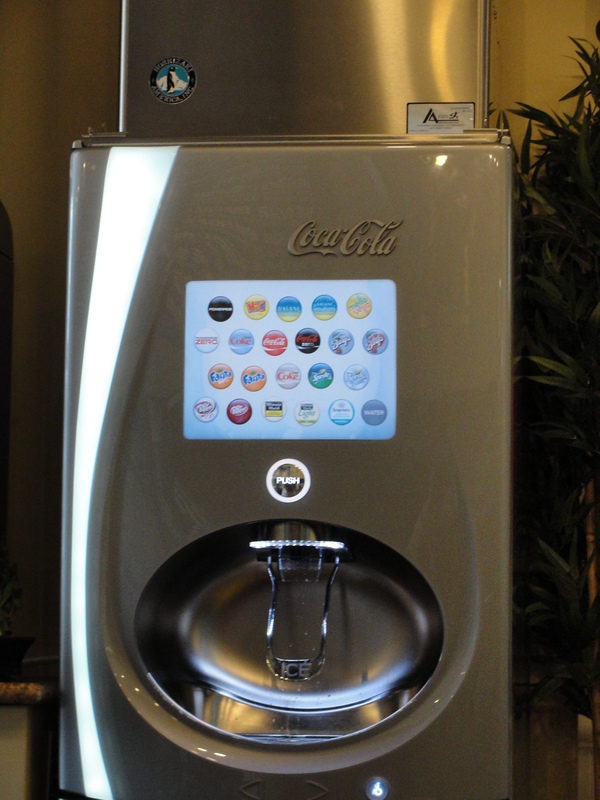 Elevation Burger also features the Flavor Station Coca-Cola Machines. This was only the second time I have ever tried one (first time being in ATL Airport) and I was still unimpressed. I opted for, what else, than Vanilla Diet Coke. The vanilla taste was so fake and overpowering that I could not taste the Diet Coke at all. I prefer when I get the vanilla at the back end of the sip and can still taste that Diet Coke that I just love. The Vanilla Diet Coke I mix up at the 7-11 is much better. After two glasses worth of Vanilla Diet Coke, I switched to just regular Diet Coke. As I was paying for our food ($34.50 for the 3 of us…) I noticed the cookies that Elevation offers. I didn’t get up purchasing any but, after we had finished eating, the manager brought us over two packs of 3 mini-cookies. 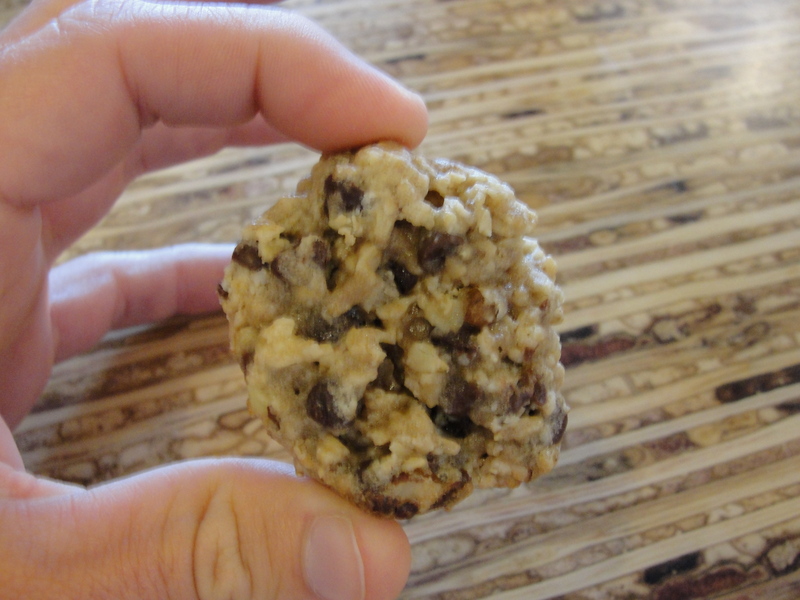 The cookie is described as, Chocolate Chip Oatmeal Pecan and looked just like that. The mini-cookies were small but still quite tasty. The cookie itself had nice, chunky flavors to it and the oatmeal, chocolate chips and pecans all played a part. The cookie was very, very soft both inside and out. I enjoyed this cookie and may be tempted to order them next time. 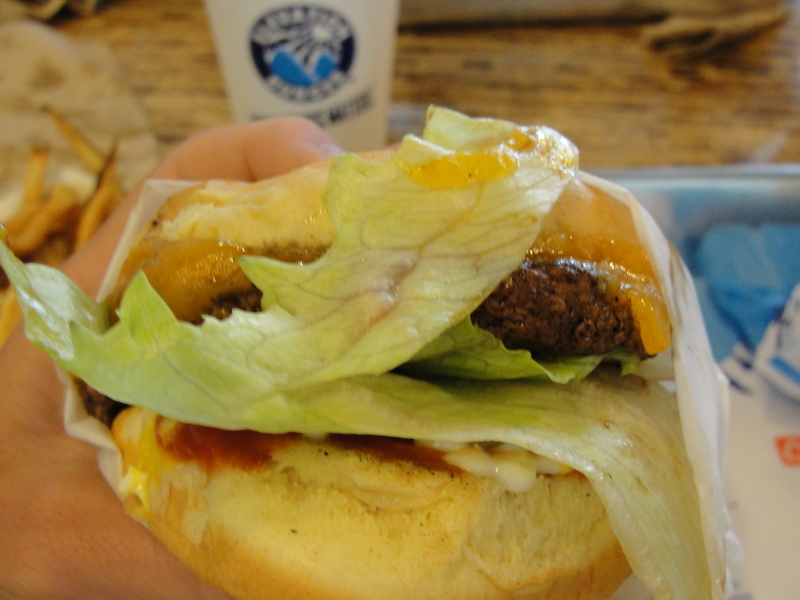 Elevation Burger is a great concept with some of the best veggie burgers I have ever had. Their prices are extremely reasonable considering that you are receiving many organic ingredients and all over fresh food. I was glad to see that the restaurant stayed busy the entire time we were there…a total of 2.5 hours…we like to talk. 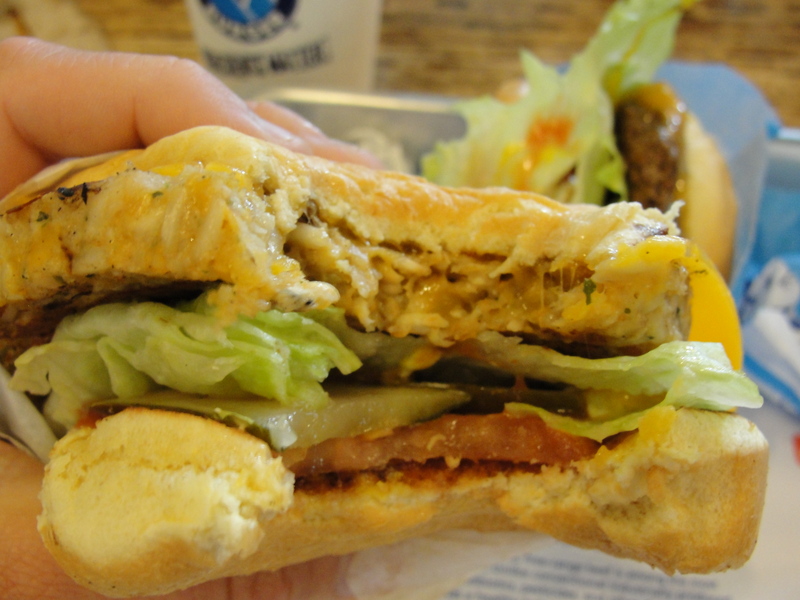 Try out Elevation Burger and experience the difference that Organic and Fresh can make. I am glad that I checked it out and will certainly be doing so again. I rode the Elevation and it surely took me higher.